Two weeks ago we’ve announced an upcoming Veeam Endpoint Backup FREE 1.1 and today I am very pleased to say it is general available! Be the first to upgrade your existing setup by downloading the newly released version from our website - and be rewarded with a number of new fancy features. Yes, you heard it! 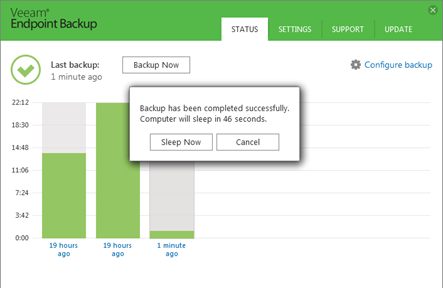 Veeam Endpoint Backup FREE is the first solution that fully supports backing up and restoring computers running the newly released Windows 10 – just six days after it went live! While some people say that installing the new version of the Operating System must always be performed from scratch; others vote for the simplicity of in-place upgrade procedure. Regardless of the way you choose, we believe a solid backup must be available anyway - Warning: Install Veeam Endpoint Backup NOW! And by the way, we do not leave version 1.0 users behind – in case you want to hold off upgrading, there is an easy workaround on how to fix the “Services suddenly stopped working” error that appears after Windows upgrade. This feature was heavily requested through the Veeam Community Forums and support cases – so here you go! 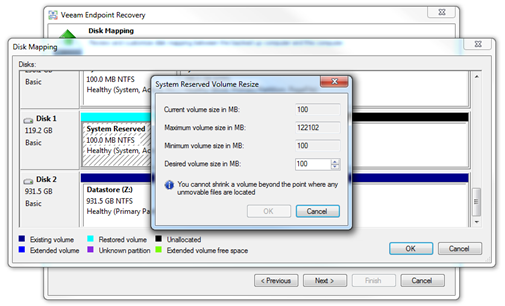 Resizing of the volume while performing the entire computer or volume-level recovery is now fully possible in both the Veeam Recovery Media and Volume Restore Wizard, so feel free to restore your backups to smaller SSD drives, or bigger HDD. We keep improving the recovery experience, so this one should make the recovery from network locations a child’s play: starting from version 1.1, Veeam Recovery Media can preserve the computer’s network settings and apply them automatically to the recovery environment. We’ve received several requests through support team to make the restore process even more “universal” and we came to the conclusion that the recovery media needs to be have more options on handling the preserved drivers. 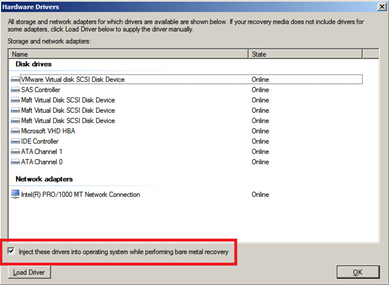 Now, in case of experiencing BSOD after recovery to dissimilar hardware, you can disable the Recovery Media drivers from being injected into the OS during recovery, thus letting drivers from the actual backup (or standard Windows drivers) to be used. I want this… how to upgrade? As always, we take a staged approach with our new releases, and will start from a week or two of pilot deployments before pushing this update to well over 50,000 of the existing users. Once we feel confident about this new version, we will publish the new build on our auto-update server, and you will soon receive the notification about the new release availability, enabling you to update your installation with a click of a button. Make sure you have “Automatically check and notify me on available updates” option at the Update tab enabled to receive the update. However, if you are in a hurry, and want this code right now – then you are more than welcome to join the pilot by downloading Veeam Endpoint Backup 1.1 directly from our website, and run the setup manually to update your installation. 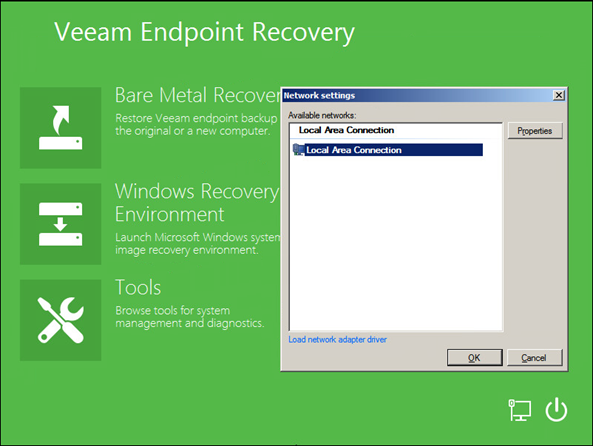 With or without Windows 10 support, Veeam Endpoint Backup Free is a must have backup utility. However, do not forget that the new feature set described above is just the top of an iceberg, and there are many other smaller engine enhancements and bug fixes under the hood that make this tool even more solid with this new minor release. So, we highly recommend that you update even if you do not plan on upgrading to Windows 10 any time soon!